This is the main telephone station for a Western Electric PBX #2. It was recognized that there was a need for standardizing an economical PBX for situations where the traffic was not enough to justify a full time Operator. Accordingly, the No. 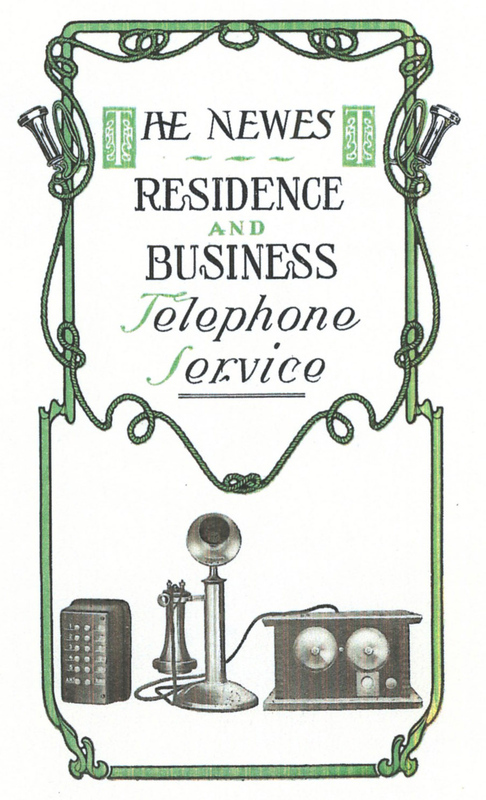 2 PBX was announced by AT&T Co. in October 1903. PBX Exchange No. 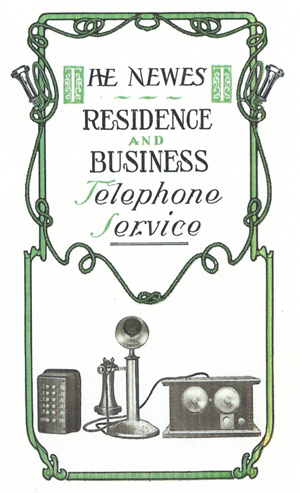 2 furnishes a system of intercommunication whereby a subscriber at any station may call any other station of the branch exchange without the assistance of an operator. 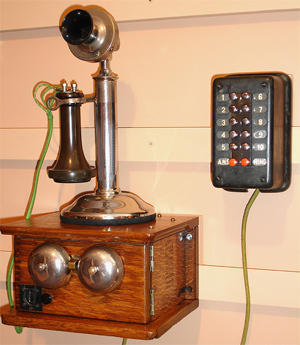 The special intercommunicating system is made up of a switch with a Main Telephone Station (a candlestick type telephone, a 371A key switch, and 271F subset) which is connected by trunk lines to the Company's nearest exchange and extension telephones (270K compact sets consisting of a single gong ringer, mounted on a backboard with a 371A key switch for each office or room in the residence or establishment).